Size: 12.96 x 10.09 mm. 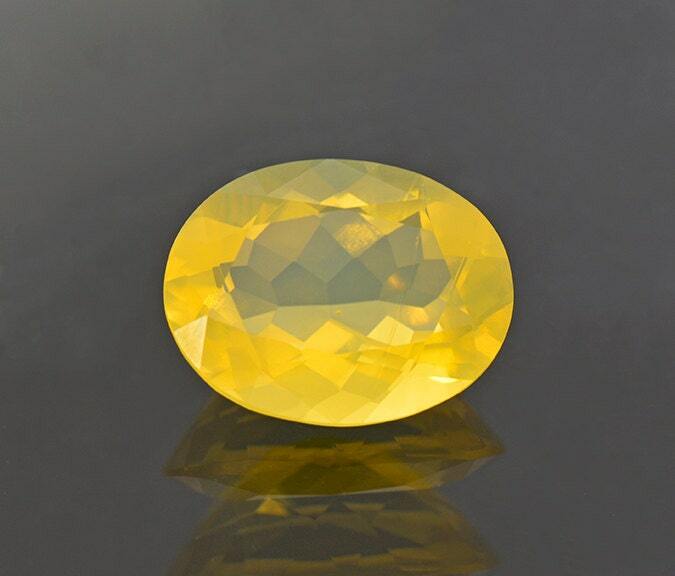 I just love US gemstones, and here is a real beauty! 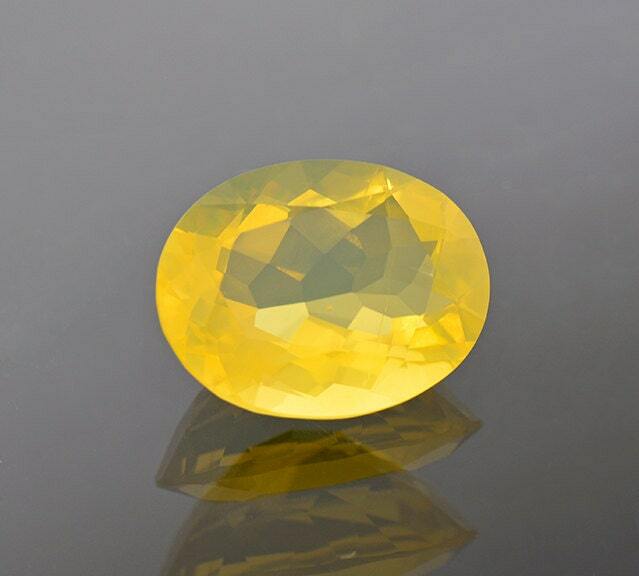 This stunning opal is a beautiful lemon yellow color that is just so desirable. 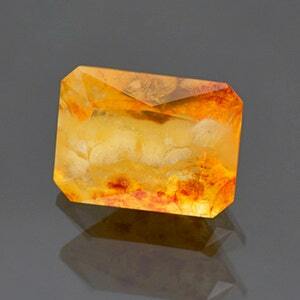 The Clarity of this stone is excellent, and has the lovely opalescent appearance. 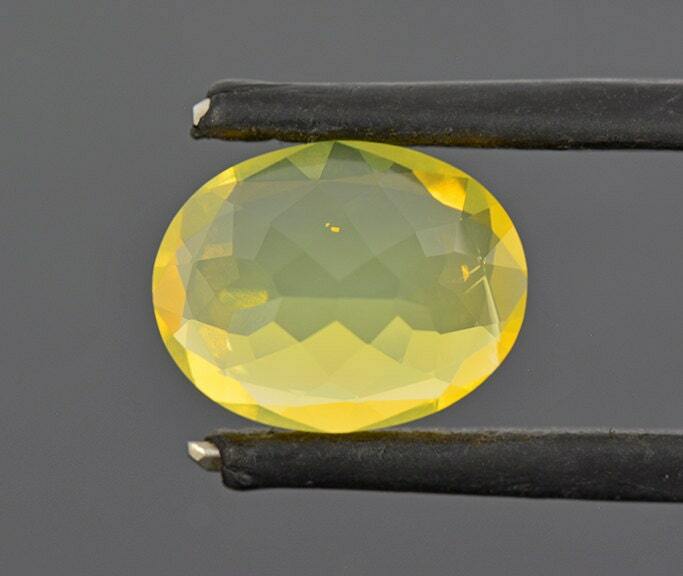 Opal is a light weight material, so 3.5 carats turns into a large size Opal, measuring nearly 13 mm! 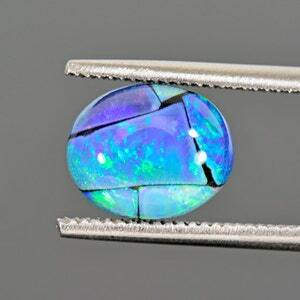 Oregon is one the world’s largest producers of gem grade Opal, and this is some of the best quality you can ask for. 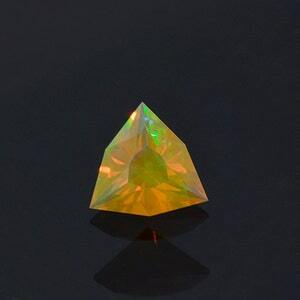 This could be considered a Fire Opal because the color is just at the end of the flame spectrum, but most of the material from Oregon is called Jelly Opal. 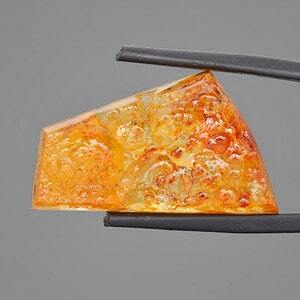 Furthermore, the appearance has that jelly-like quality that is so attractive. 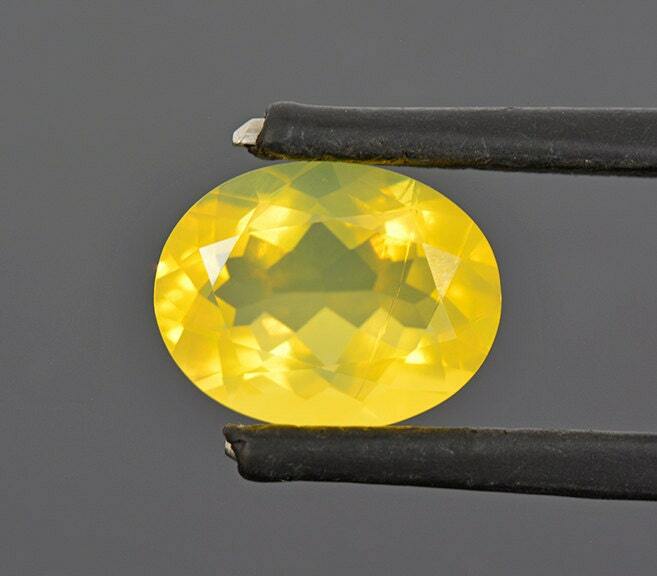 This is a fine collector’s gem, but would also make a stunning and unique pendant.